Abrams Roofing can build and repair the roof of just about any commercial building under the sun. We secure your school; we protect your plant. You’ll find us plying our trade on the rooftops of logistics facilities, medical offices, private banks, warehouses and manufacturing plants. We combine fine craftsmanship with a competitive price for commercial roofing to give you a product you can rely on for years. Abrams Roofing & Sheet Metal Inc. can repair or replace all types of commercial roofing systems with top national brand materials and products. We work with a variety of commercial roofing materials, as well as industry-specific training required to properly install them in the Louisville area. At times, a commercial roof can be damaged, but not need a total replacement. Moisture: If your roof is not absolutely positively 100 percent watertight, moisture can infiltrate and cause a big issue. If you notice water stains, high humidity inside or an increase in insects or rodents, it might be time to have your roof inspected. Higher Energy Bills: If you see higher than average increases in your heating or cooling bill, roof damage may be allowing air to escape the home, which makes your unit work overtime. Bubbles or Sagging: Bubbles or low spots in the ceiling are big signs of possible roof damage. Roof bubbles viewed from on top the building come from moisture building up under the top layer – the more bubbles, sagging, low spots, or ponding you have, the sooner you need commercial roof repair. Clogged Drains: During the next downpour, check your downspouts. If you only see a trickle when it’s raining cats and dogs, you may find ponding and clogged rooftop drains. These are both strong signs you need commercial roofing repair. Flimsy Flashing: If you see any gaps in the metal flashing around the parapet or gaps in areas where the roof changes levels, you need professional commercial roofing repair very soon. Storm damage is the number one cause of roof repairs we typically encounter, even for commercial roofs. Louisville’s unpredictable storms can range in degree of damage, from a few missing shingles to a total loss. Falling Debris: Tree limbs or other large debris can penetrate your roof deck and cause serious structural damage. Hail: Even small hail stones can harm a roof and large hail stones can puncture some materials completely. Emergency roof repair services secure the roof until the extent of the damage can be fully accessed. Snow and Ice: Heavy snow, freezing temperatures, and icy conditions can loosen flashing and cause severe roof leaks. Even small amounts of water trickling into your home or business can cause serious structural damage. If you’re not sure whether your roof needs repairs, give us a call and have our experts inspect your roof after a storm to make sure there is no damage that could potentially cause problems later. Most repairs can be done in less than one business day. We work hard to make sure your business is not disrupted by roofing repairs. We protect customers and property throughout the process and leave each site clean and ready for business. Some problems on a roof can be minor and easily repaired, so they don’t warrant the expense of a replacement. Roof repairs are less costly than a re-cover or replacement and they do extend the life of your roof overall. How’s the membrane? Membrane roofing is common for commercial buildings because it moves water off the roof. They are typically made of rubber and designed to last about 50 years. If the membrane is basically in good shape and has not met its life expectancy, you can make necessary repairs. If the membrane is reaching its life expectancy and is showing consistent signs of issues, it might be time to replace. What about insulation issues? Is the building overly hot in the summer or cold in the winter? If you’re having trouble maintaining a comfortable temperature, it may be due to the roof insulation. Over time, the insulation can wear down, get wet, or deteriorate. Some roofs were not installed with adequate installation in the first place, which might mean it’s time for a total replacement rather than a quick repair. What’s your budget? If you don’t want to invest money in your current building, or you’re trying to keep costs low, then you may repair only what is necessary. Have you already repaired it once before? If 25% or more of the roof’s surface has been damaged or repaired already, it’s usually time for a replacement. If you’re still unsure whether your roof needs to be replaced or repaired, give us a call. We will evaluate the entire structure to give you honest and reliable diagnostic information. If normal wear-and-tear or storm damage to your roof is so severe that a roof repair is not sufficient, we are also experienced to complete either a re-cover or a full replacement and installation of a new commercial roofing solution for you and your business. 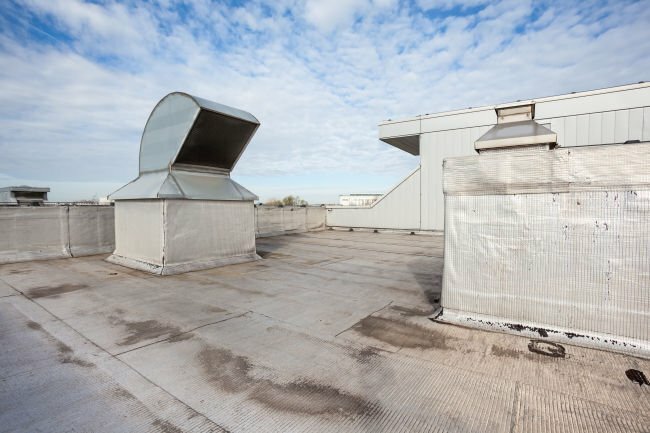 If your commercial roof needs more than a simple repair, you have two options. Re-covering the roof involves placing a new membrane over an existing one, or moving the existing membrane completely and installing a new one. How do you know which one you need? That’s where we come in. The roof is still fundamentally sound. There is only one layer on the roof currently – meaning the roof has never been recovered before. The roof has good insulation. The roof is one of the most important exterior parts of your church, plant, or office building. Without proper installation and quality roofing products, considerable damage could harm the structure, as well as the people and property inside. 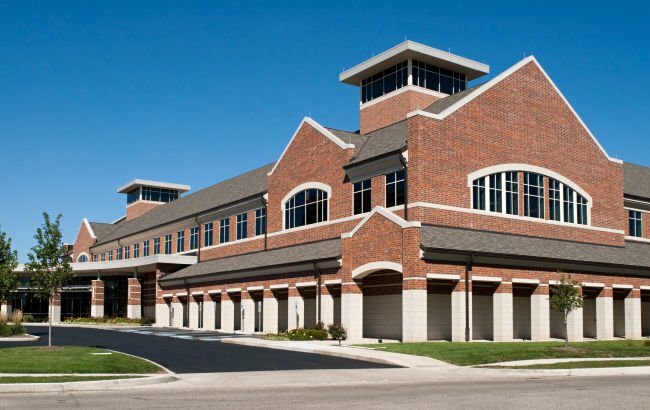 There are several factors that can affect the cost of a commercial roof replacement. Size and Type: Obviously bigger roofs cost more than smaller roofs, but the overall price per square foot may go down as the size goes up. If you have significant repair work to be done, it is always worth comparing the price of repairs to the price of replacement, just to be sure you’re getting the best deal possible. Structure Shape: This is basically counting the number of objects that protrude out of your roof. Each structural shape means more cutting, more working, and more time. The slope of your roof can also affect cost, especially if the slope needs to be changed or drainage needs to be altered in any way. Location: Some locations can cost more than others. For example, if your building is in an area that requires more permits, is more difficult to work in, is prone to bad storms or extreme cold, the price could be affected. Contractor: This is perhaps the biggest price difference. 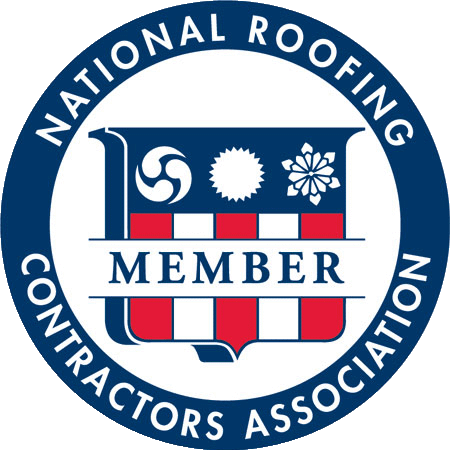 The cheapest contractor isn’t always the better contractor, and it is important to find a contractor who specializes in the type of roof you choose. Abrams Roofing is a licensed, fully-insured contractor specializing in commercial roofs from shingles to shakes and everything in between. We work hard to get you the best industry materials and expert craftsmanship at a competitive price. 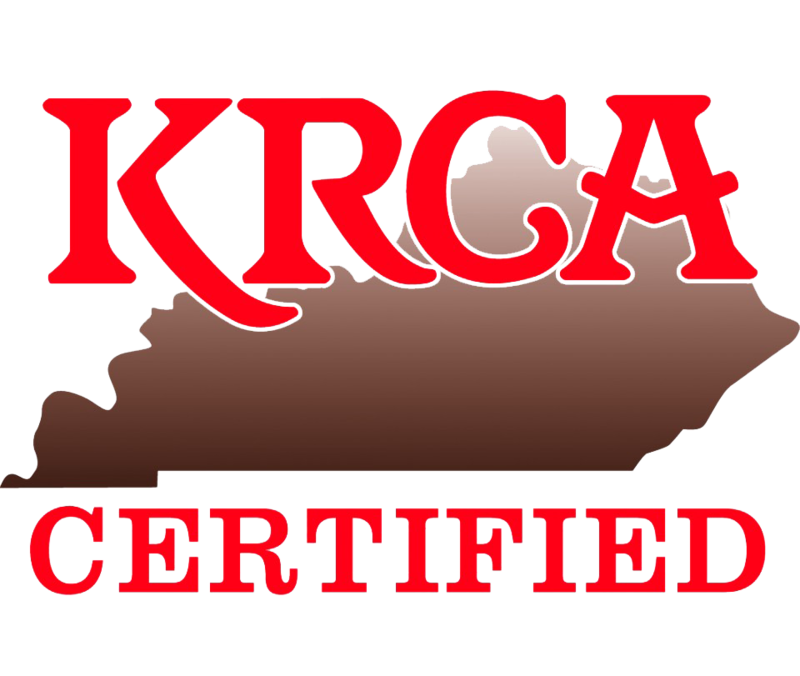 As a local Louisville, KY roofing contractor, we live and work in the same community you do. 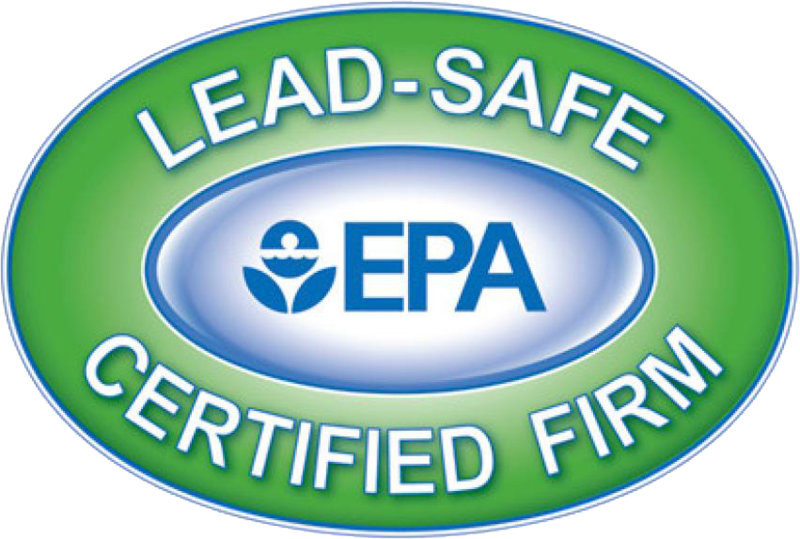 We take pride in creating lasting relationships with each customer by providing products and service you can count on. Give us a call for an annual roof inspection, a simple patch repair, or a complete replacement of your commercial roof. We give free estimates and competitive pricing with customer service you won’t find anywhere else!